This week’s invitation to build was inspired by two things: the Christmas tree we just decorated and The Babe’s portable tinkering kit. She’s been taking that kit all over the place recently, even out the night we picked up our tree. 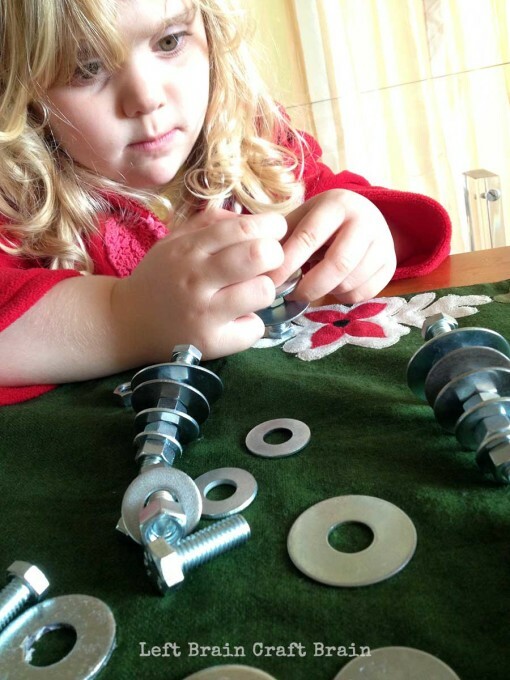 The nuts and bolts inside seemed to be some of her favorite pieces, so I challenged her to make some Christmas trees out of them. 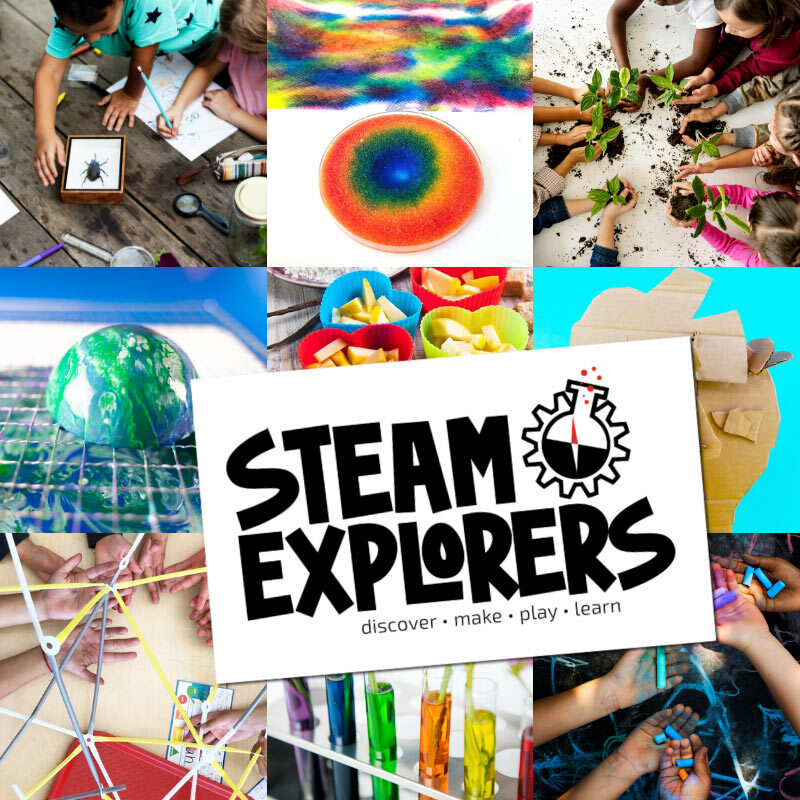 Hope you enjoy this fine motor forest full of Tinkering Trees! This post contains affiliate links. 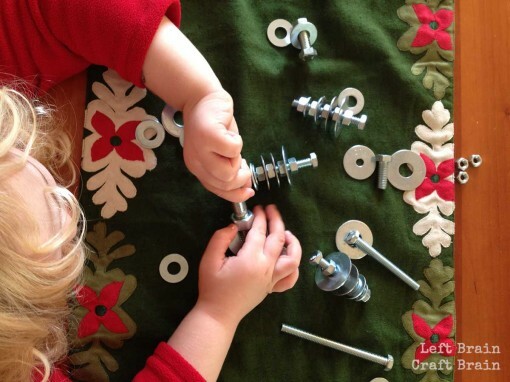 This activity is an amazing way to build fine motor skills. 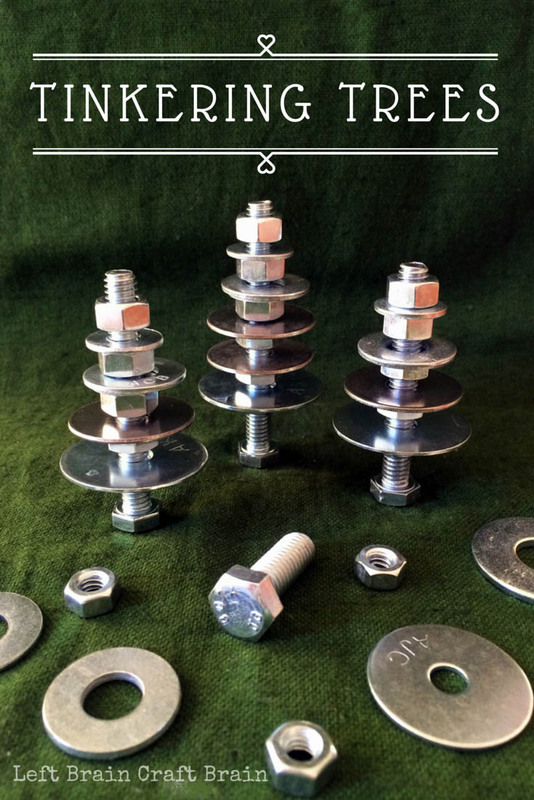 Simply start with a bolt, and then stack, alternating nuts and washers. It takes some serious spinning and twisting of the fingers to move the nuts around, perfect for strengthening those fingers. As for what the trees should look like, there is no right answer for how to build them, just have fun! I really love watching her tinker with nuts and bolts. There’s so much concentration happening. I wish I could read her mind and know exactly what’s going through her brain. Like this? Set out an Elsa’s Ice Palace Invitation to Build for the kiddos, too. 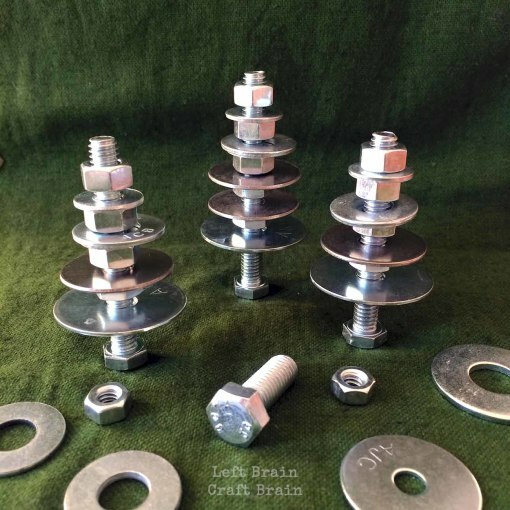 Or check out the Left Brain Craft Brain STEM Pinterest board for more ideas. Follow Anne @ Left Brain Craft Brain’s board STEM (Science, Technology, Engineering and Math) Activities on Pinterest. I love the look of concentration! This is a great one for getting kids thinking! My daughter really loves projects like this. She gets so focused! Thanks for stopping by. Cool! I’ve been looking into a lot of STEM activities and I bet we have all the materials around here to make these. Thanks for sharing! Thank you for these. Continue to post. LOVE THEM! Thanks so much Dawn! And thanks for stopping by.